The act lays special emphasis on protecting the interests of the farmers, considering them as weaker of the two parties entering into a contract. The Model Contract Act 2018, unveiled by Union Agriculture Minister Radha Mohan Singh in Delhi today brings in all services in the agriculture value chain, including pre-production, production and post-production services, under its ambit along with contract farming activity. 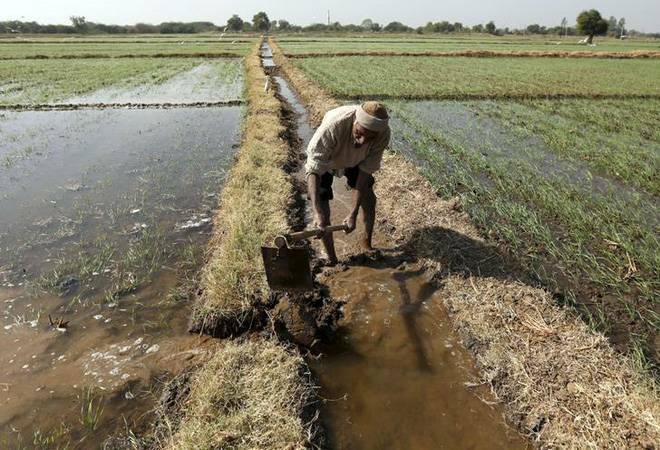 The act lays special emphasis on protecting the interests of the farmers, considering them as weaker of the two parties entering into a contract, the ministry states. One of the key features of the Model Act, to be adopted and enacted by the states is that it brings contract farming outside the ambit of the APMC Act. It provides for a "Registering and Agreement Recording Committee" or an "Officer" at the district/block/taluka level for online registration of sponsor and recording of agreement. The contracted produce will also be covered under crop/livestock insurance in operation. In a bid to allay the fears of individual farmers, the act explicitly states that no permanent structure can be developed on farmers' land/premises under such contracts. It gives no right, title of interest of the land to the sponsor. Similarly, no rights, title ownership or possession to be transferred or alienated or vested in the contract farming sponsor. The act provides for the promotion of Farmer Producer Organization (FPOs)/Farmer Producer Companies (FPCs) to mobilise small and marginal farmers. The FPO/FPC can also be a contracting party if so authorized by the farmers. The contracting party will be obliged to buy the entire pre-agreed quantity of one or more of agricultural produce, livestock or its product of contract farming producer as per contract. It also envisages the setting up of Contract Farming Facilitation Group (CFFG) for promoting contract farming and services at village/panchayat level. The key features of the Model Act also include an accessible and simple dispute settlement mechanism at the lowest level possible for quick disposal of disputes. It is drafted as a promotional and facilitative act and not regulatory in its structure. The concept of Contract Farming (CF) refers to a system of farming, in which bulk purchasers including agro-processing/exporting or trading units enter into a contract with farmer(s), to purchase a specified quantity of any agricultural commodity at a pre-agreed price. Although varied forms of contract farming existed in pockets in the country, the formal contract farming is not, however, wide spread in India. By and large, cultivation of commercial crops like cotton, sugarcane, tobacco, tea, coffee, rubber and dairy have had some elements of informal contract farming for a long time. In order to protect the interests of producers and sponsors of Contract Farming, the Ministry of Agriculture FW drafted Model APMC Act, 2003, which provided provisions for registration of sponsors, recording of agreement, dispute settlement mechanism. However, due to conflict of interest of contract farming sponsors with the APMCs, which were the designated registering, agreement recording and dispute settlement authority the atmosphere was not facilitative. Neither did not provide adequate confidence to the farmers and incentive to the sponsors to enter into a contract. The new model act is expected to change the situation. The final version of the Model Act was released in the presence of the Ministers of State Agriculture Gajendra singh Shekhawat, Parushottam Rupala, Krishna Raj and Ramesh Chand, member NITI Aayog. Ministers from the states of Andhra Pradesh, Arunachal Pradesh, Assam, Bihar, Chhattisgarh, Goa, Haryana, Jammu & Kashmir, Madhya Pradesh, Manipur, Odisha, Punjab, Rajasthan, Uttar Pradesh, Uttarakhand and Puducherry also participated in the meeting.